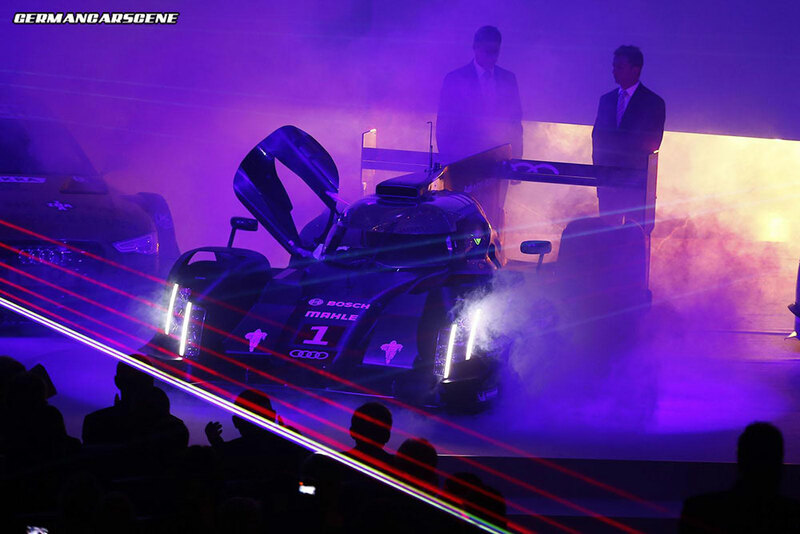 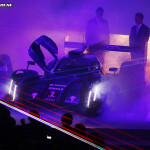 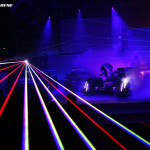 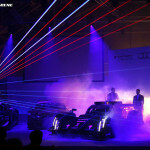 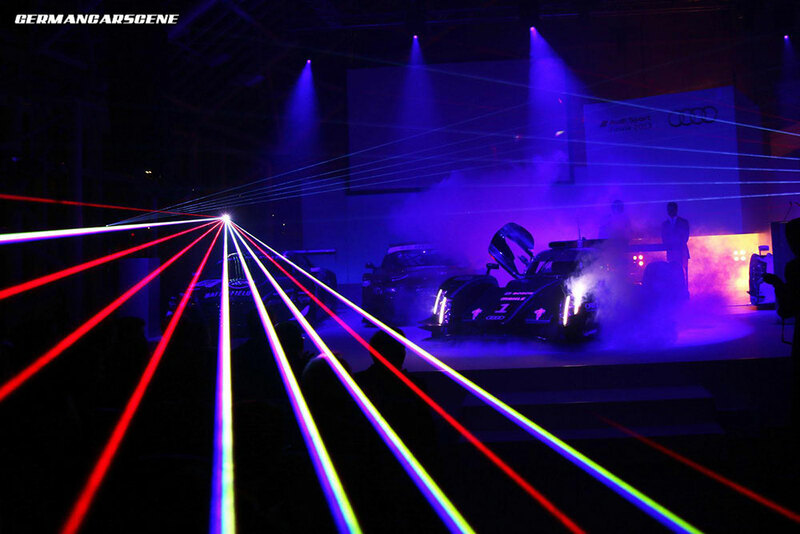 One the many innovative highlights on the car is the introduction of laser light technology. 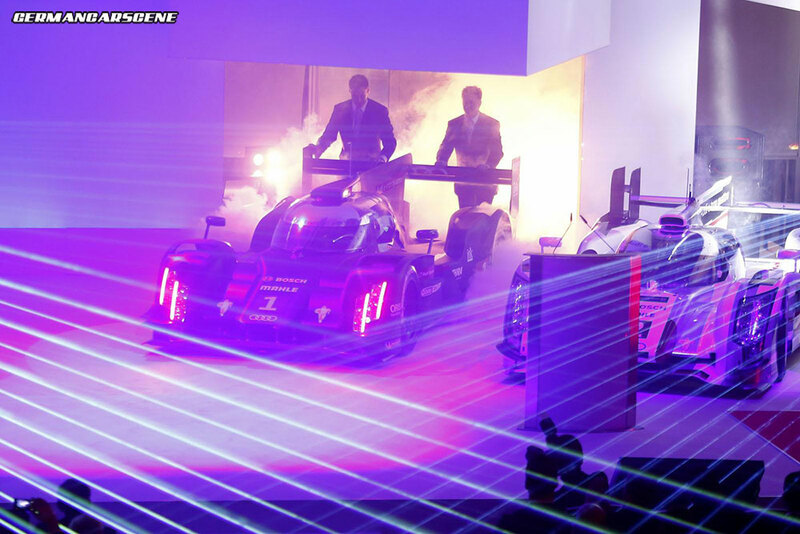 Complimenting the main LED headlights, a blue laser beam backlights a yellow phosphorus crystal lens through which the light beam is then emanated, which provides even more consistent lighting. 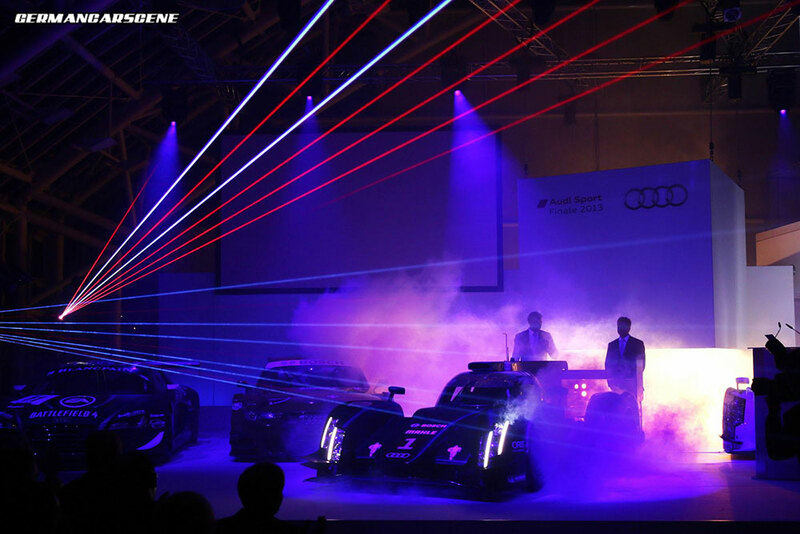 “Laser light will also open up completely new possibilities for our production models in the future. 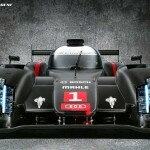 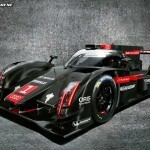 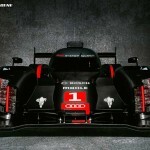 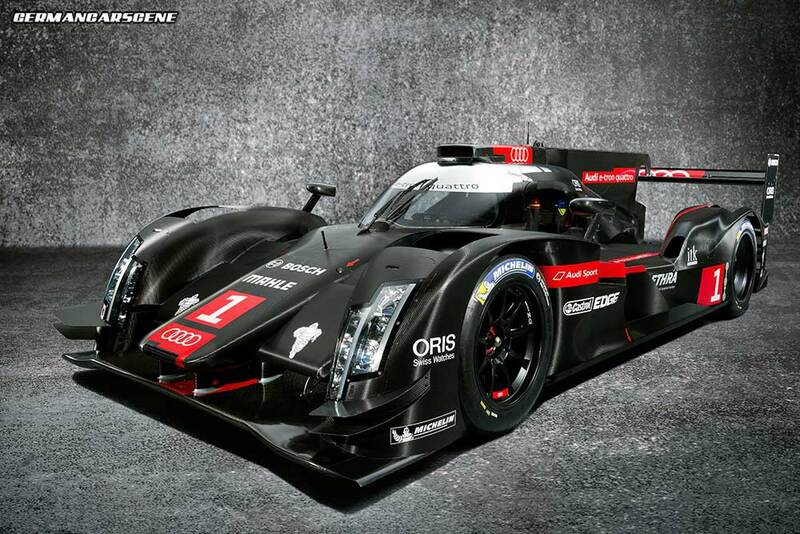 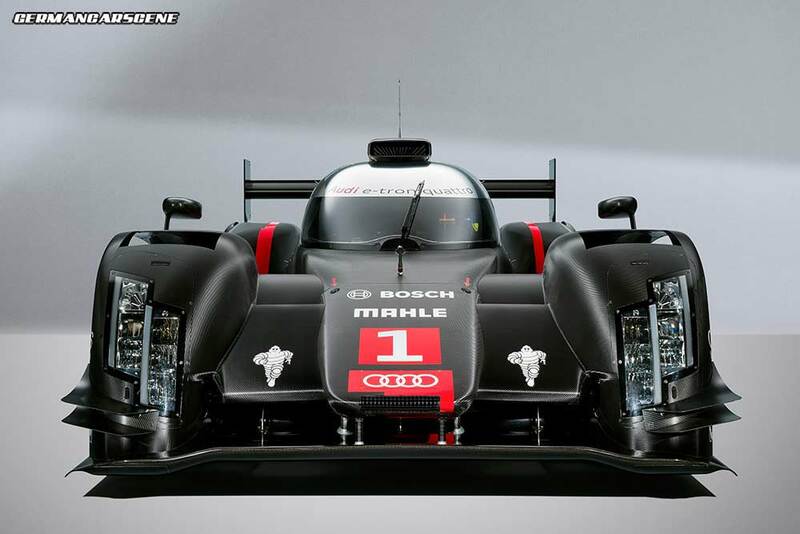 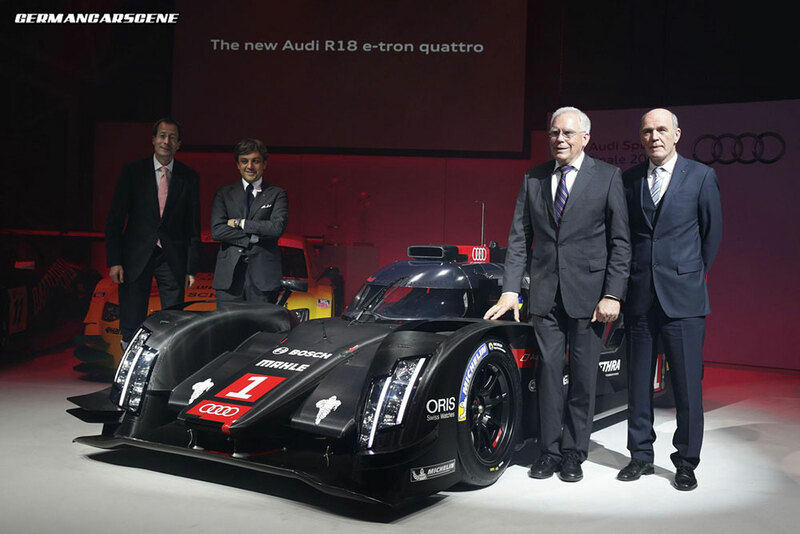 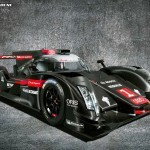 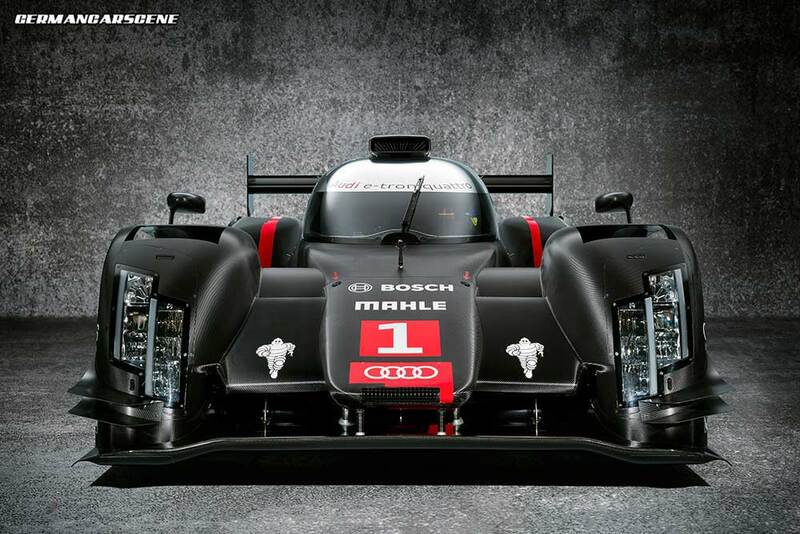 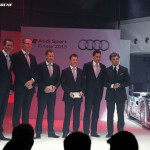 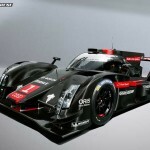 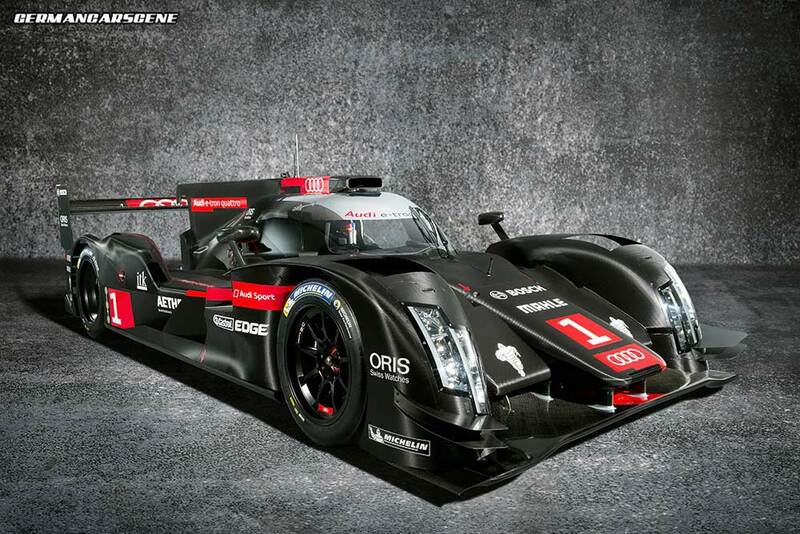 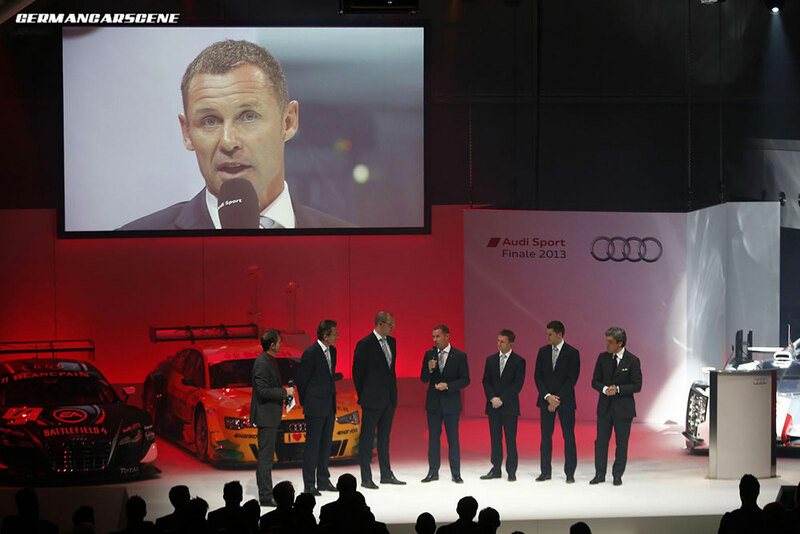 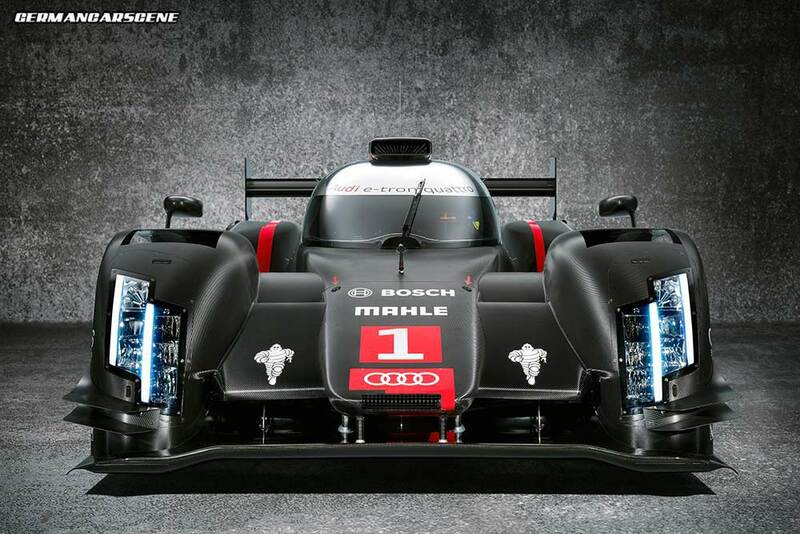 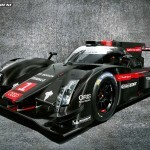 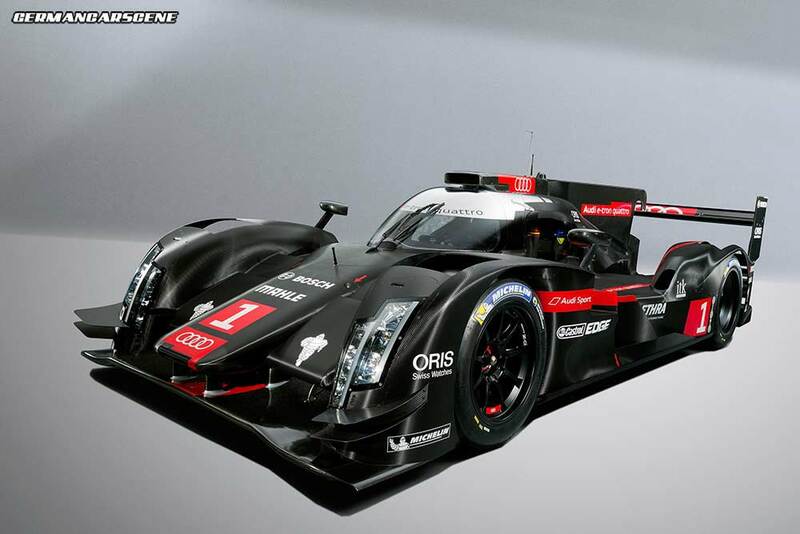 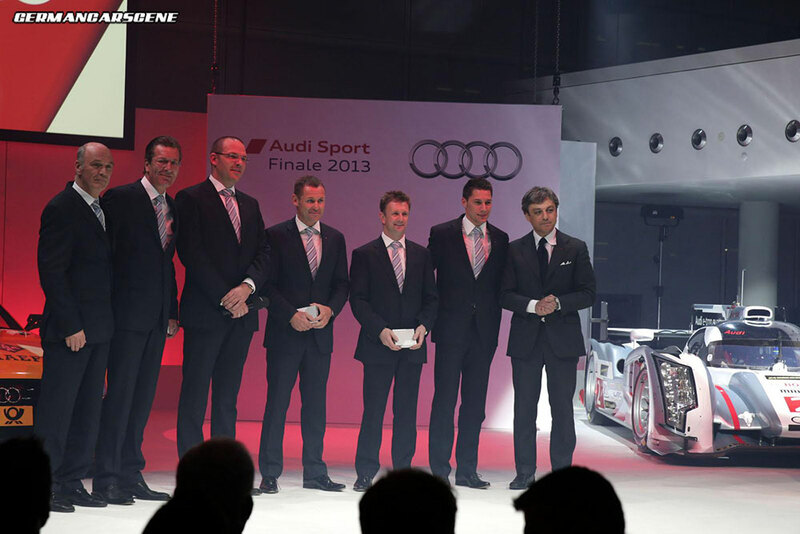 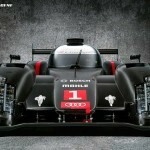 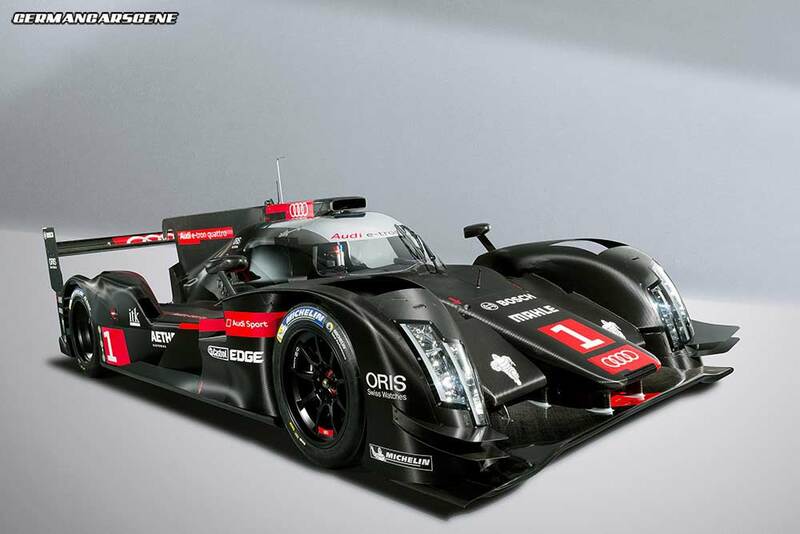 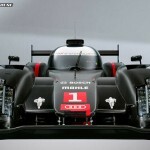 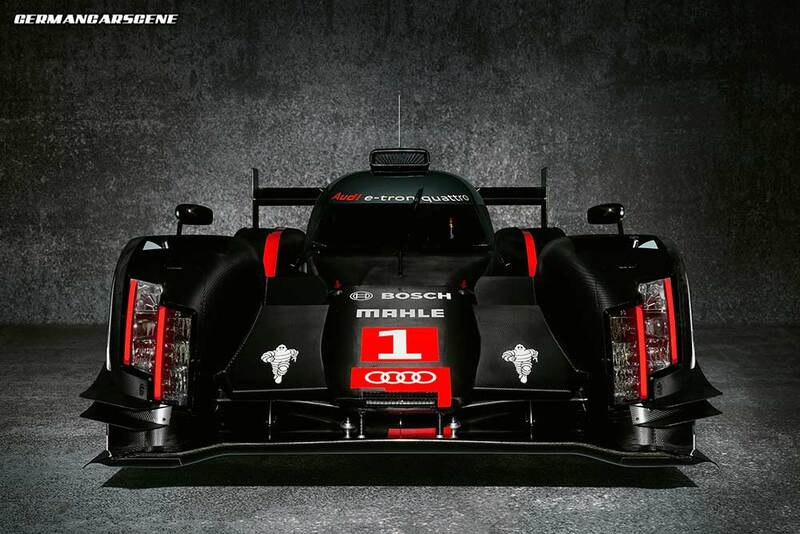 Once more, motorsport at Audi accelerates a new technical development for our customers,” said Dr. Ulrich Hackenberg. 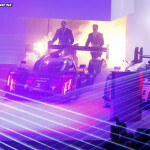 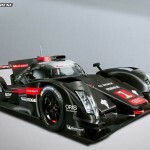 Following new regulations, the new R18 has to consume up to 30 percent less fuel than its predecessor; the V6 TDI engine driving the rear wheels has been retained, but this time it is supported by two hybrid systems. 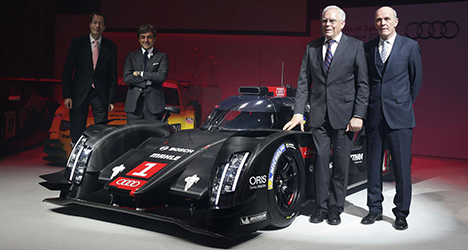 As previously seen, a Motor-Generator-Unit (MGU) harvests kinetic energy at the front axle during braking, which flows into a flywheel energy storage system, while an additional unit linked to the turbocharger converts the thermal energy created by the exhaust gases into electricity.